As per the needs and requirements of our clients, we are involved in providing Vegetable Cutting Table. 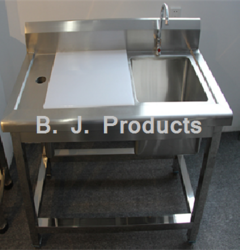 We are regarded as one of the trusted firm delivering best collection of Vegetable Cutting Table. Our offered products are highly in demand in various commercial and industrial sectors. Easily available in industry at low marginal rates our items are made using best quality material, that is sourced from trusted sources. Being a leader in this industry, we are devoted towards providing a premium quality array of Vegetable Cutting Table. Clients can deploy our manufactured vegetable cutting tables in hotel and restaurant kitchens. These tables are spacious and can be used to cut vegetables in an organized manner. 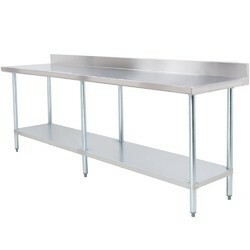 Vegetable cutting tables we fabricate are made of stainless steel that makes these products rust and stain proof. These tables are durable and can be availed from us economical rates.